With inspiration from the original Hoofers, Daniel is one of the dancers that still working in the style and rhythm heritage that once was created by the legends during the era of swing. To dance and to spread the traditional dance style built on rhythm gives him inspiration and the power in life. His ability to dance lots of different styles make him a respectful dancer. 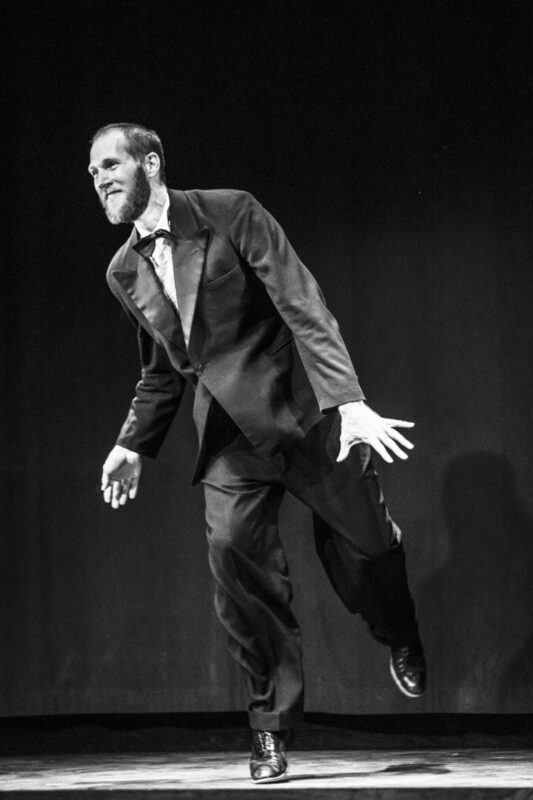 As well as a broad variety of Tap styles Daniel also dance traditional Lindy Hop, Charleston, Jazz and is a well educated Modern Jazz & Ballet dancer. THe works professionally at theatres in the musical scene where not only dancing, but also singing and acting is a part of his profession. He´s been working in shows such as Crazy for You, Love Never Dies, Singing in the Rain, Guys and Dolls, Producers, Chicago, La Cage aux Folles, Beauty and the Beast, Grease and many others. Daniel is also in to choreography and he choreographed musicals like The Wild Party, Spelling Bee and Rebellas Skatt. „Never stop learning” is Daniels guiding principle and motto. He loves taking classes from the best teachers and continue his work to get better and better!